Google has communicated very clearly that mobile-friendly websites will be advantaged in search results pages. Delivering to mobile is important enough that Google even offer easy-to-use tools to test how mobile-friendly your website actually is. The Mobile-Friendly Test is provided as a part of Google’s website “Mobile-Friendly Websites”, a resource furnished to developers and people making decisions about the design of business websites. The resource has been around for a while and I’m surprised that I haven’t seen it linked to more often. In February this year Google announced that it would be updating it’s indexing to improve the positioning of mobile-friendly sites. Today Google has finally rolled out the changes. From today websites that are not mobile-friendly will be punished in search results. Conversely, websites that are mobile friendly will be rewarded. Of course merely being mobile-friendly isn’t enough by itself to assure favourable positioning in search results. Other factors are important. However the change is significant enough that some industry experts are calling the change “mobilegeddon” in anticipation of the impact on websites right across Googles mobile-accessible indexing. 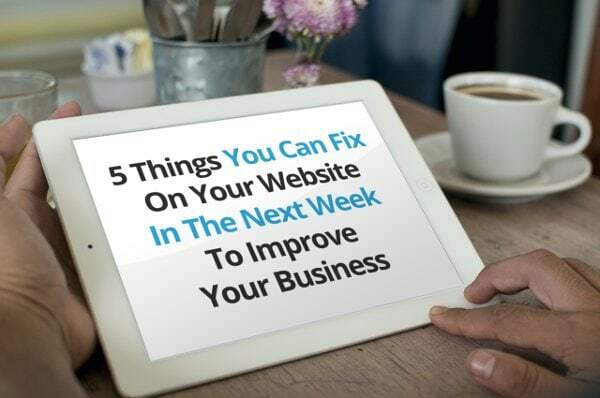 5 Things You Can Fix On Your Website To Get More Customers. Download the free guide and get your website working for your business.